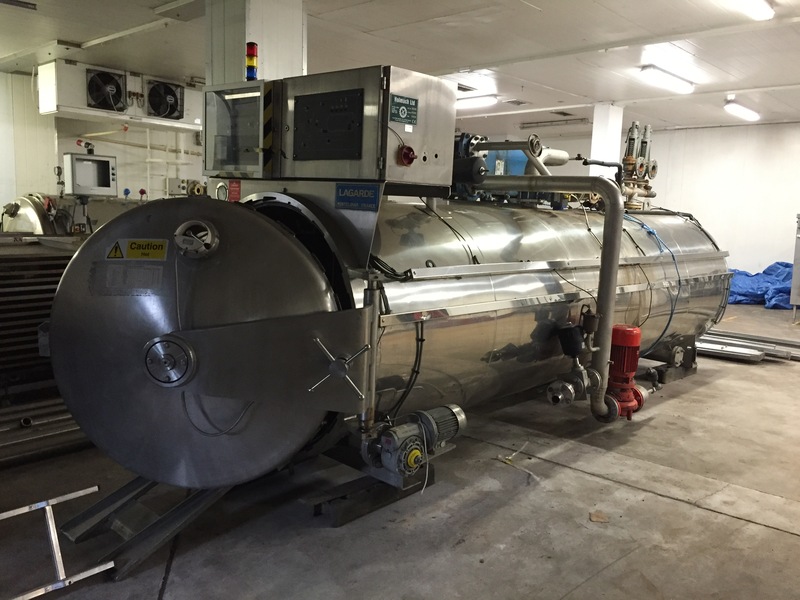 7 rack Lagarde retort (S/N SA 1361) 5 bar 158C, 7400 litres available immediately. Machine is in the UK and already disconnected ready for collection. Controller powered up and OK. Purchaser to cover all handling and transport costs. 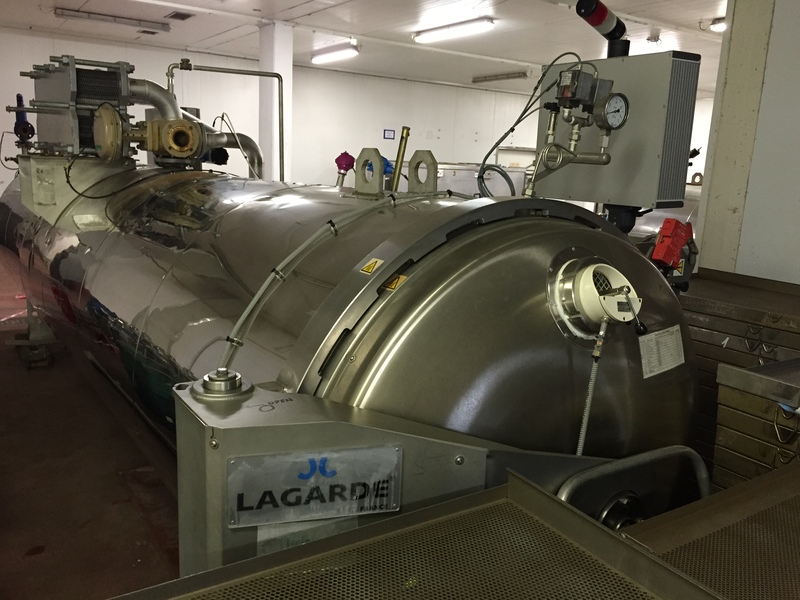 5 rack Lagarde Retort (S/N SA952, 2001) 6890 litre capacity, 5 bar / 158C available immediately. Controller recently tested, OK. Machine is in the UK available for immediate collection (already disconnected). Purchaser to cover all loading and transportation costs. 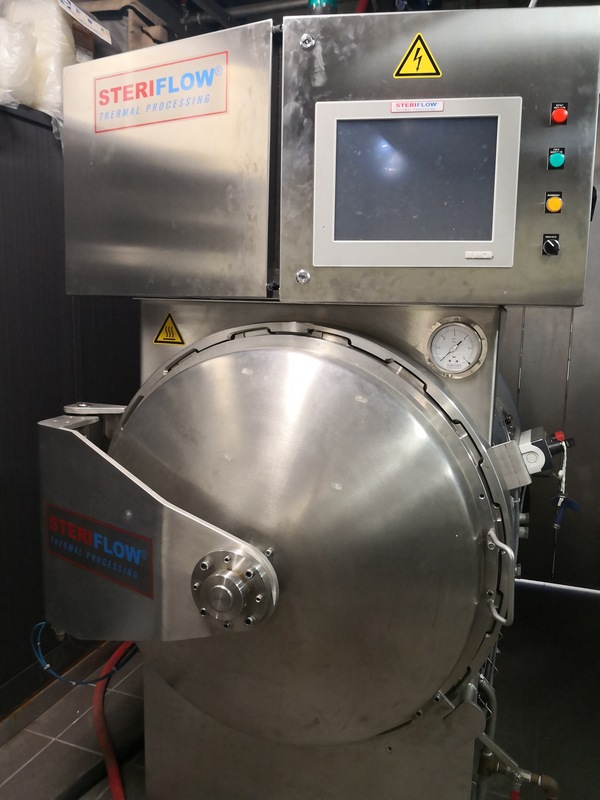 Nous vendons un autoclave de type pilote STERIFLOW ruissellement d'eau merci de prendre contact avec nous si vous êtes intéressé.